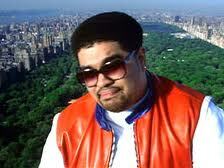 HEAVY D...PAYING HOMAGE TO A TRUE ENTERTAINER. ONE OF MY FAVORITE HEADY D SONGS FROM THE OVERWEIGHT LOVER. LET'S NOT FORGET THAT HE WAS ALSO A GREAT PRODUCER.